Parai Beach is a beautiful spot on Bangka Island characterised by it's boulders. Swim, sunbathe, snorkel and or relax under a gazebo with an ice cold beer. If you can tear yourself away from the lounger to go exploring then the combination of the powder white sand, grey rocks and deep blue see make for an amazing photographic backdrop. Pilau Seribu means a "Thousand Island" but actually consists of 128 small islands located in the Bay of Jakarta. A few of the islands have been developed for tourism and offer general tourist facilities. The beaches are golden and fringed with coconut palms and the abundance of marine life make this another excellent choice for diving and snorkelling. Located on the northwest coast of the world's most populous island of Java, Jakarta is the country's economic, cultural and political centre. As you would expect there are hundreds of things to see and do here. Numerous museums, historical buildings, landmarks, parks, shopping malls and markets await. The fusion of cultures including Chinese, Indonesian, Malay and Dutch make for some incredible dining experiences. Be sure you try one of the Street Food stalls. Jakarta will reward you with some unforgettable meals. Karimunjawa is a hidden paradise of Java. Also known as Karimun Java is is an archipelago of 27 islands known for it's white sand beaches and clear blue sea. Many visitors like to rent fishing boats and the locals are keen to help guide you on a hike around the islands. As you would expect diving is excellent here as the islands have 35 types of corals, sponges and there are even shipwrecks. After your chosen activity refresh yourself with a cooling coconut milk as coconuts can be found in abundance here. Semerang is a port city on the north coast of Java. Dutch colonial architecture is prominent here and includes Lawang Sewu a huge structure built by a railway company. It's a busy administrative and trading city which has many captivating colonial monuments, beautiful gardens and superb views of the sea. There is even a museum established in 1970 to preserve a wide selection of steam locomotives, Ambarawa Railway Museum. 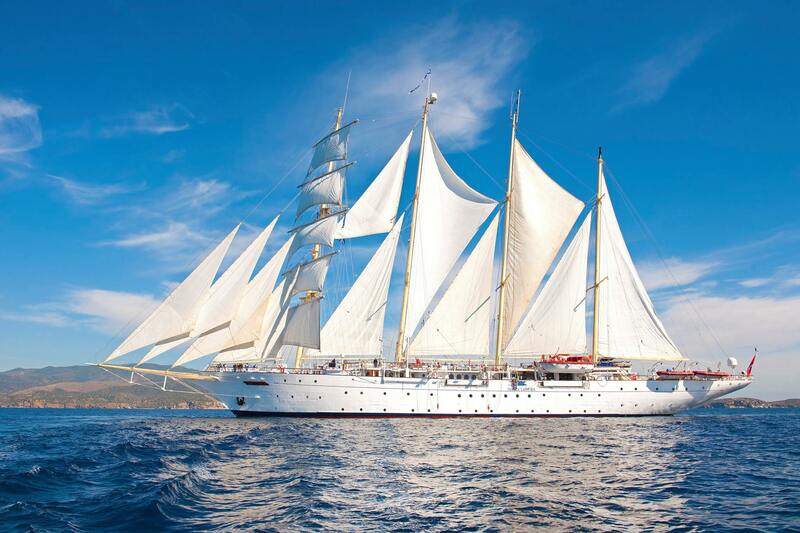 Vessel Type: Tall Ship Length: 109.7 m Passenger Capacity: 170 Star Clipper is a gorgeous four-masted ship just 360 feet long and carries only 170 guests in pampered comfort. 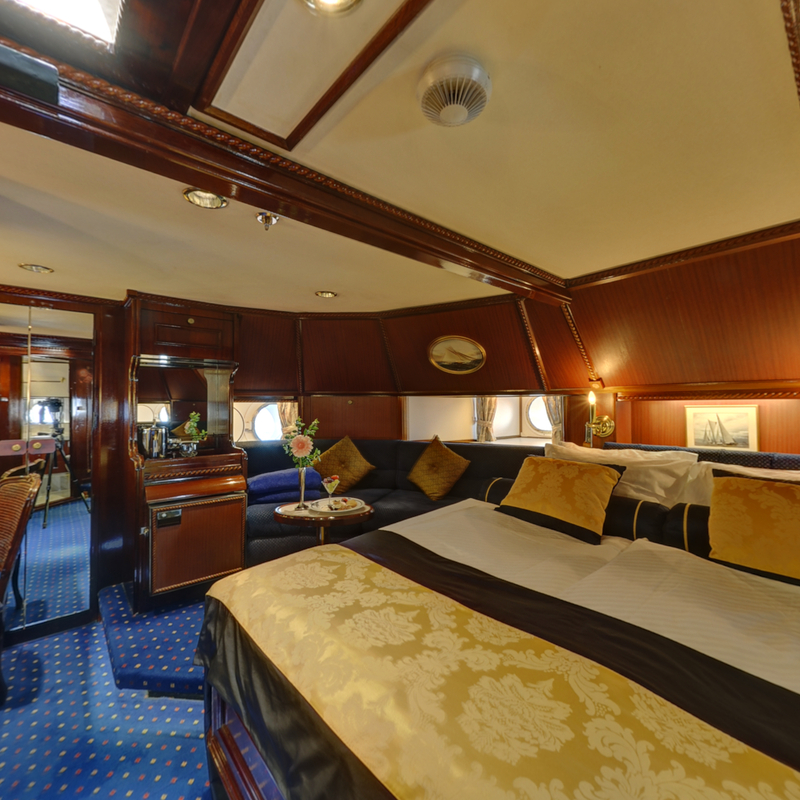 Star Clipper is a true clipper ship, reflecting her proud heritage in every inch of the polished brass and gleaming brightwork that graces her decks and superstructure. 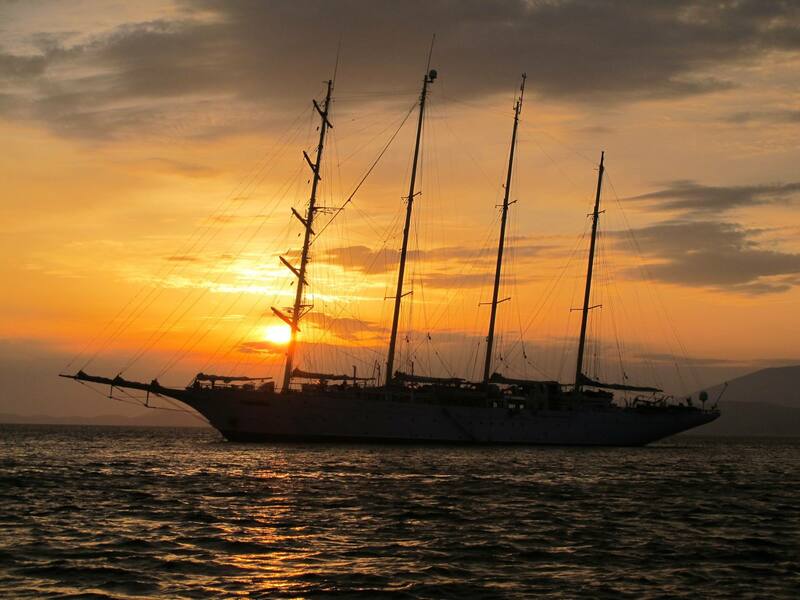 Step aboard this striking vessel and you’ll be greeted by a new generation of sailing culture. 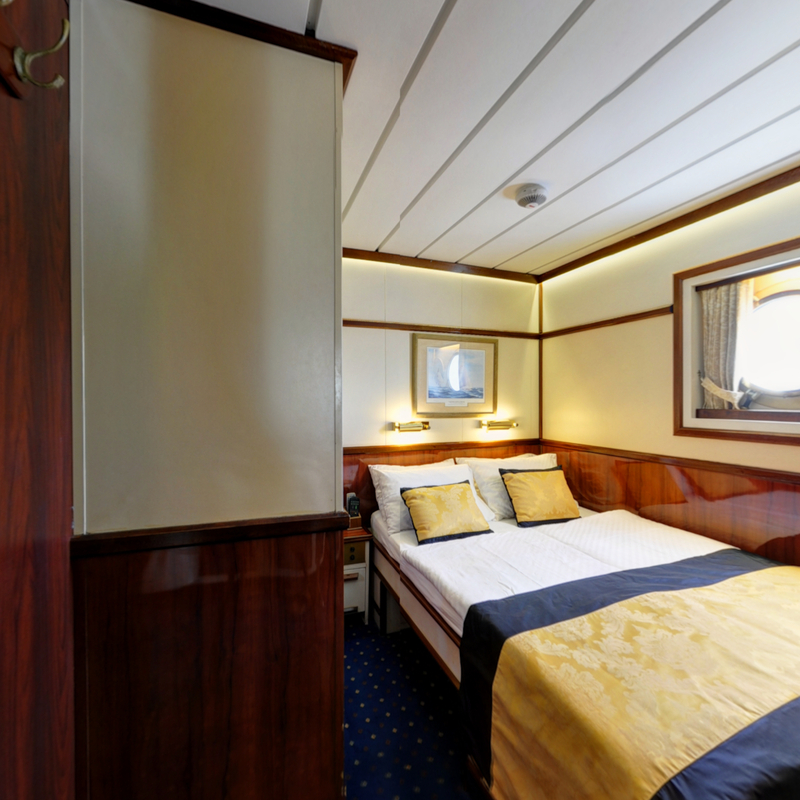 Here, the grand traditions of the past, which characterise what sailing is all about, exist alongside the comforts and amenities found on the contemporary cruise liners of today. 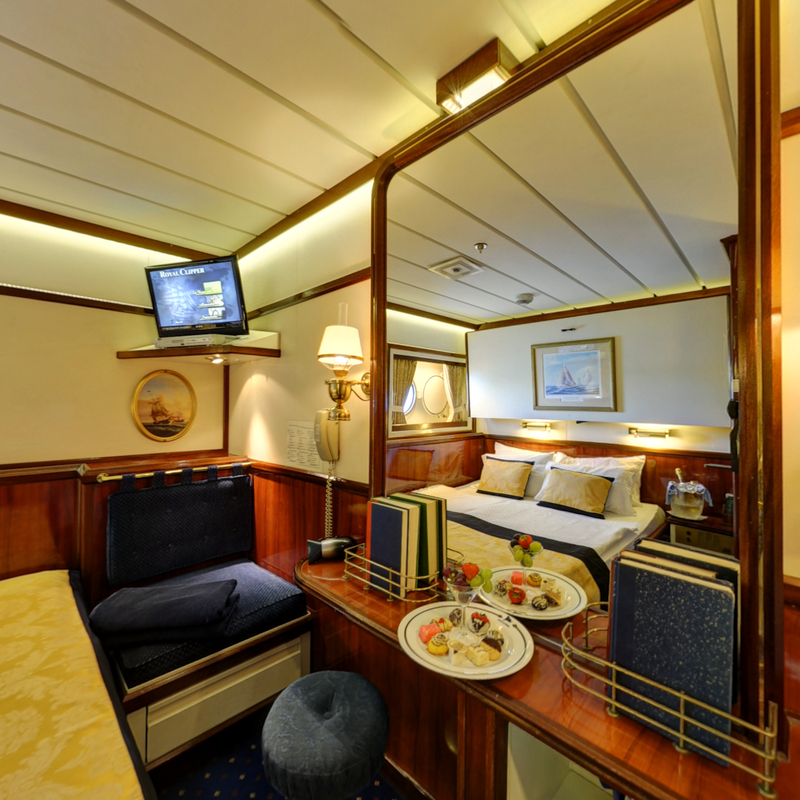 Star Clipper is a modern ship through and through, welcoming luxury-loving passengers from all over the world who hold the legacy and customs of the grand era close to their hearts yet yearn for a new and exciting adventure. 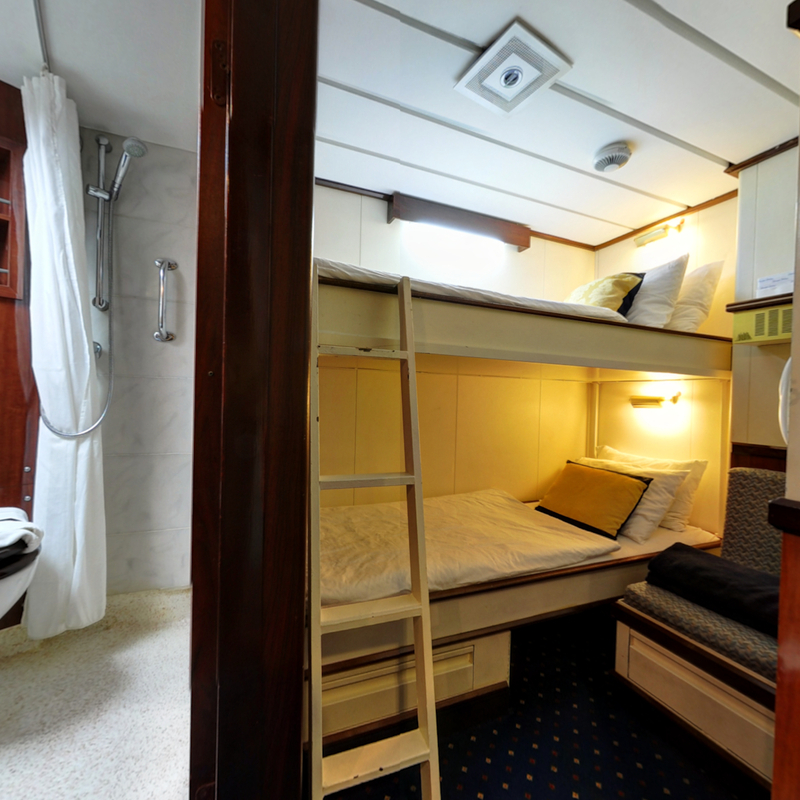 Life aboard is very relaxed, much like travelling on a private yacht. You’ll never feel restricted or disorientated as the staff work tirelessly to meet your needs and make you feel comfortable. 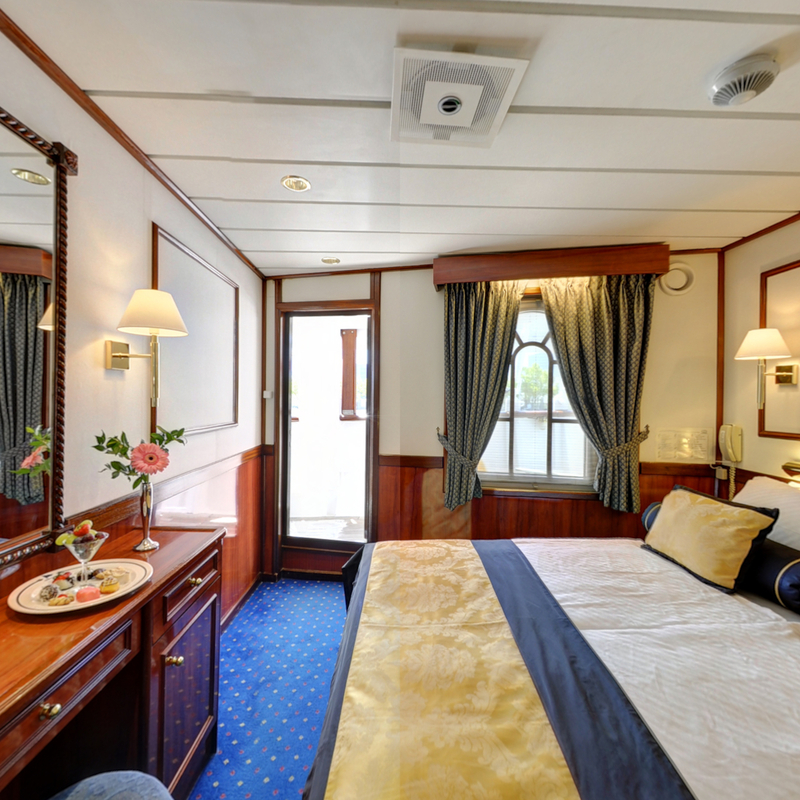 AccommodationThere are six categories of generous staterooms; giving you plenty of choice when deciding which one suits you best, whilst the expansive decks give the whole ship an uncluttered feel. 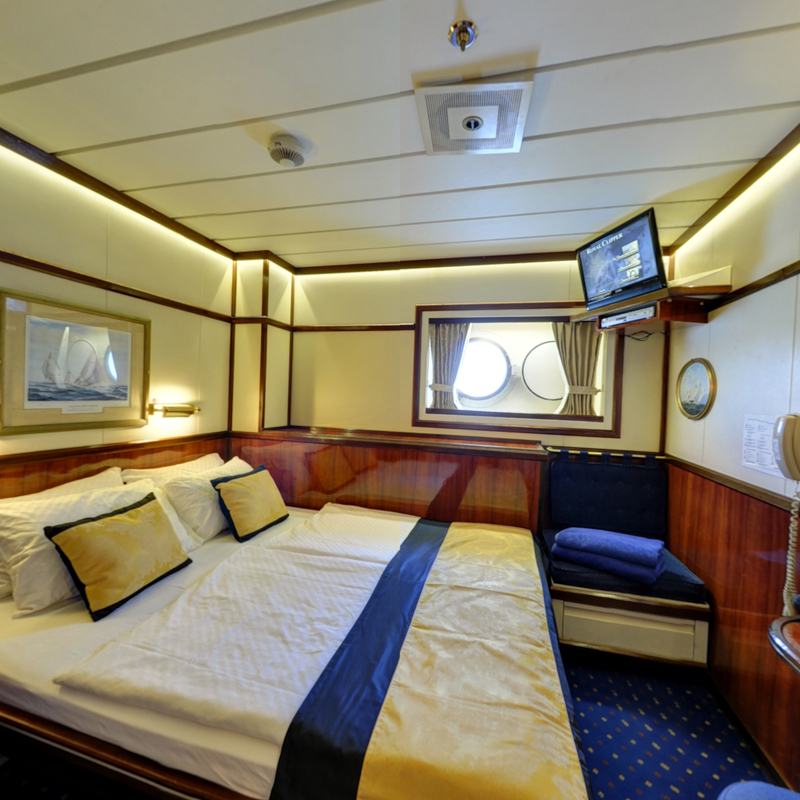 In fact, you’ll find that, due to the small number of passengers on board and the spacious surroundings, Star Clipper offers more outdoor space per person than most conventional cruise ships. 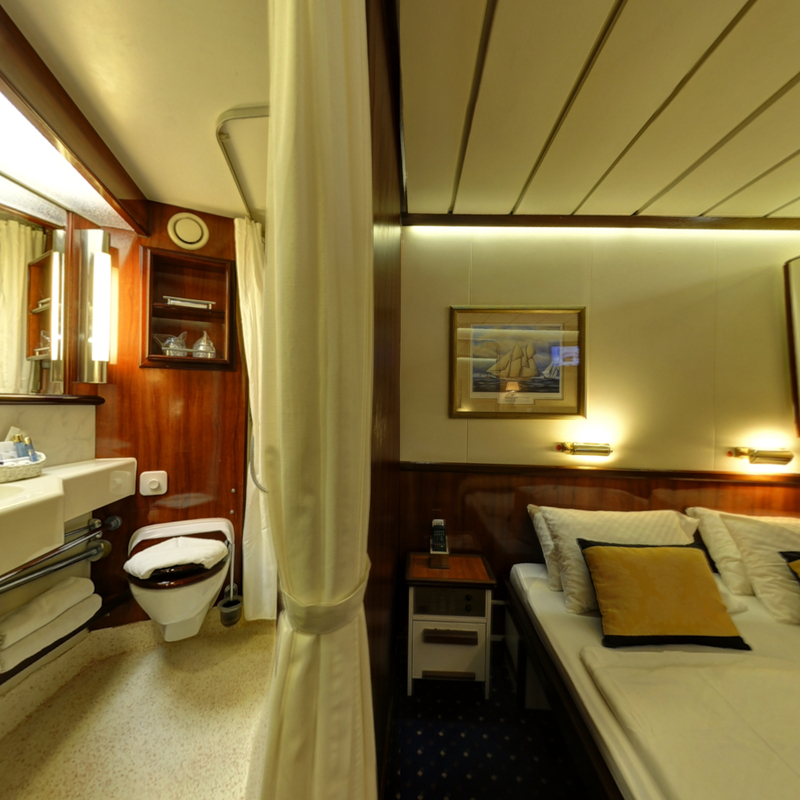 The interior design of Star Clipper again harks back to nautical days gone by. Famous sailing ships are remembered in paintings that are hung on the walls, while teak and lustrous mahogany rails are richly reminiscent of Star Clippers’ proud maritime heritage. She has an exquisite dining room, in which you can eat when and where you like, and a convivial indoor-outdoor Tropical Bar and Piano Bar, multiple swimming pools, and an Edwardian style library where a Belle Époque fireplace glows with a warmth that reflects the friendliness and enthusiasm of Star Clippers’ hospitable officers and crew.